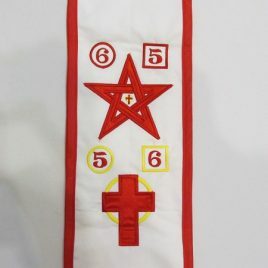 Beautiful embroidery adorns this Adeptus Exemptus sash. 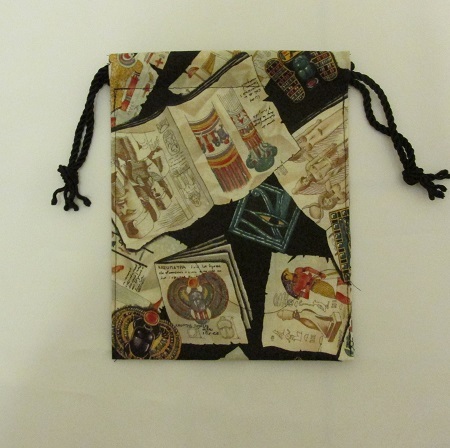 Available in cotton or silk. Extends from right shoulder to left hip. INFORMATION ON "TIMING TO MAKE YOUR ORDER" IS IN THE "ABOUT" SECTION OF THE SITE. Gorgeous embroidery adorns this Adeptus Major Sash. Worn from right shoulder to left hip. 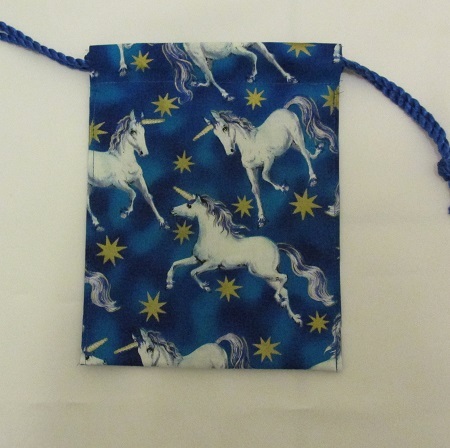 Available in 100% natural cotton or pure duipioni silk. INFORMATION ON "TIMING TO MAKE YOUR ORDER" IS FOUND IN THE "ABOUT " SECTION OF THE SITE. 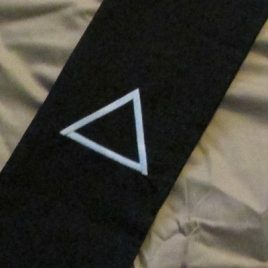 Adeptus Major Sash. Worn from right shoulder to left hip. 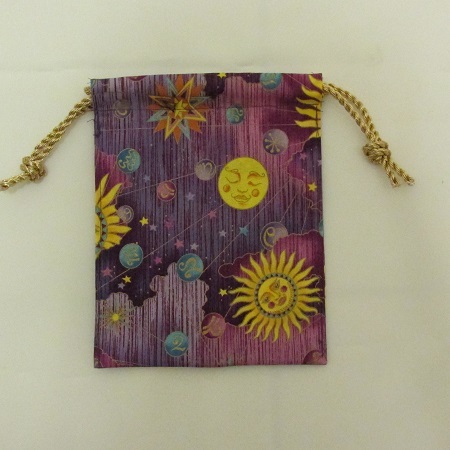 Available in 100% natural cotton or pure dupioni silk. INFORMATION ON "TIMING TO MAKE YOUR ORDER" IS FOUND IN THE "ABOUT" SECTION OF THE SITE. 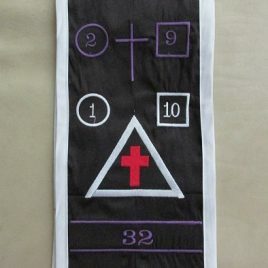 Black Outer Order Sash embroidered with the white triangle - insignia of the Neophyte. Worn from left shoulder to right hip. Choose traditional cotton or top of the line dupioni silk. 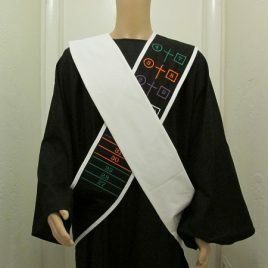 Traditional Outer Order Sash embroidered with the insignia of the Philosophus Degree. Worn from left shoulder to right hip. See details on fabric choices and color schemes below. 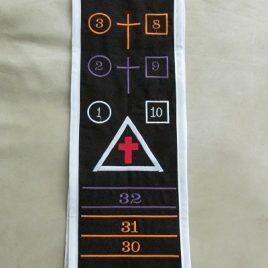 Traditional Outer Order sash embroidered with the insignia of the Practicus Degree. Worn from left shoulder to right hip. Several options are available to accomodade a variety of Golden Dawn groups. Choose your fabric and color scheme. See details below. 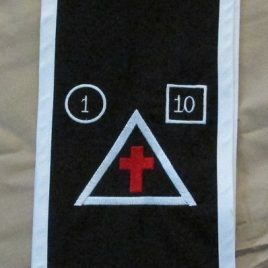 Traditional Outer Order sash embroidered with the insignia of the Theoricus Degree. Worn from left shoulder to right hip. Several options are available to accommodate a variety of Golden Dawn organizations. Choose your fabric (cotton or silk) and your color scheme. See details below. 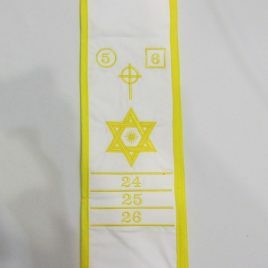 Traditional Outer Order sash embroidered with the insignia of the Zelator. Several options are available to accommodate a variety of Golden Dawn organizations. Choose fabric - 100% natural cotton or duipioni silk. Choose color scheme - HOGD colors, or the older "Regardie colors" referenced in his books. See details below. Traditional insignia of the Portal Degree. 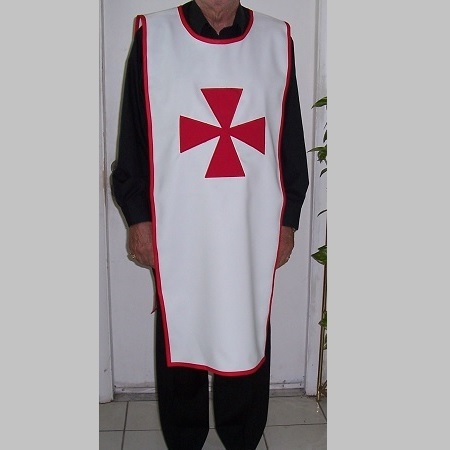 Solid white sash is offered in cotton or duipioni silk (must be dry cleaned). Extends from right shoulder to left hip. 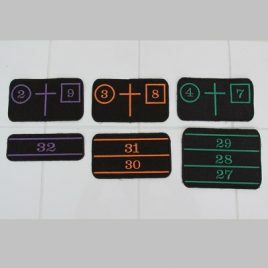 This option consists of a set of sew-on patches for grades 2=9 through 4=7. You must already have a Zealator Sash to use this item. This option might be easier for long distance international customers, and it is less expensive than the traditional method. 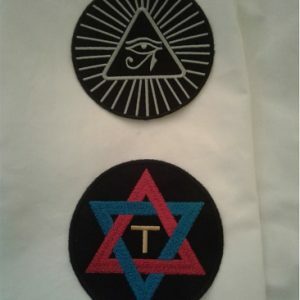 Available in either the HOGD or Regardie color scheme(see descriptions below) You must also let us know if your original sash is cotton or silk so that the appropriate background fabric can be used to make the patches. 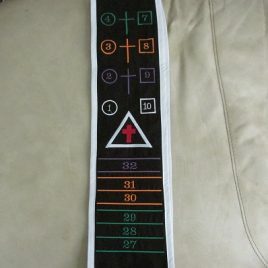 Upgrade your sash as you proceed through the grades. This is the traditional method in which you mail me your sash (mailing address below). 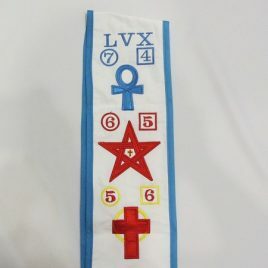 I embroider the new symbols directly on to your existing sash and mail it back to you. Choose the appropriate color scheme (HOGD colors or "Regardie" colors - see below). 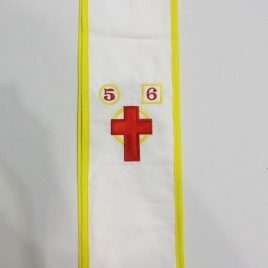 This upgrade is available only for sashes originally made by Azoth Art, Inc.
Our version of the historic sash worn by Yeats which is on display at the Irish Museum. Available n 100% natural cotton or pure dupioni silk. INFORMATION ON "TIMING TO MAKE YOUR ORDER" IS FOUND IN THE "ABOUT" SECTION OF THE SITE.